Cappuccino, Espresso or Latte, which one is your Favorite? Everyone has a preferred taste when it comes to coffee; some love strong, bold cups, while others prefer something sweeter and richer. Some like black coffee and others would never go without milk or cream. The type of coffee you prefer is a personal choice, and some would even debate with you over said choice. 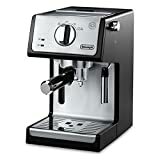 However, whether you are a bold coffee lover who is looking for a way to make their favorite drinks at home or a cafe owner who is looking for new equipment, it is important for you to choose wisely when buying cappuccino, espresso and latte machines. Here are some things you must consider when attempting to narrow down the candidates to make the best selection. Manual: This machine is for people who don’t mind investing some effort into a great cup of coffee. 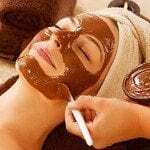 While they tend to have long lives and are often quite attractive, they are also difficult to use and quite expensive. Semi-Automatic: These are fitted with electric pumps, which make them a bit easier to use than manual models. They are a bit more affordable than manual options, yet they are still not as easy as those that run automatically. Fully Automatic: These are extremely easy for the average person to operate and they are very affordable. On the downside, coffee made in these machines is not as tasty as that which is made manually. Super Automatic: This is for those people who want to do as little work as possible. 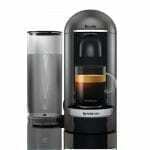 The problem with these cappuccino and espresso machines is the fact that they are costly. Now that you know all of the machine types that are available and the pros and cons of each, it will make it a bit easier to find an option that best suits your needs. There are, however, other things to consider when purchasing a coffee-making machine. 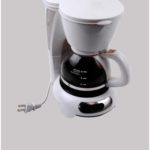 The nice thing about these best single cup coffee makers is the fact that there are numerous options available. As a result, people in all price ranges are able to make a purchase and quell their cappuccino cravings. Numerous models have special features that make the price skyrocket higher than ever before. If you’re on a tight budget, you should probably avoid these. The key to getting a great price is comparison shopping, and only considering those options that have features you cannot live without. Thus, before purchasing your machine, ensure that you do ample research on it to ensure that you’ll be getting your money’s worth. These factors are mentioned together because these go hand-in-hand. 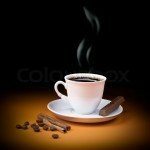 It would be terrible to pay a bundle for the best coffee machine on the market then find out that past customers gave the product a bad review. Our products listed are the best of the best so you are assured to get what others have purchased, used and liked. 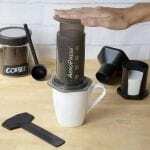 Research all cappuccino, espresso, latte makers prior to buying products so you can avoid problems later on. In order to keep your machine running perfectly, you will need to clean it regularly. Before making a purchase, check around to see how difficult it is to clean the particular model(s) you are interested in. You do not want to buy a machine that is difficult to disassemble if you are not very familiar with them. 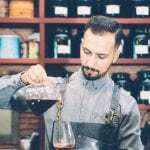 This is especially true for people who want to brew at home, since business owners can always hire someone who is capable of caring for the machine. 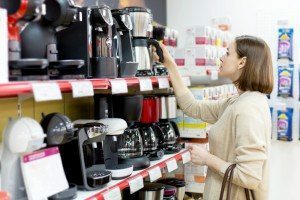 You may want to tell yourself that aesthetics are not the most important factor when choosing the best coffee machine, but it certainly matters. You don’t want to have something sitting in your kitchen or cafe and you are not pleased with how it looks. On the flip side, looks matter, yet this should not be the main consideration when trying to decide what to buy. 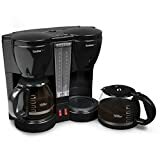 Our Coffee Maker Reviews are from actual customers and our coffee lovers, but we feel you should be basing your purchase on past purchases. This way you will see the majority of likes and dislikes on your product(s) of choice, and can compare it to reviews of similar products. You can only make an informed decision once you have all the facts. 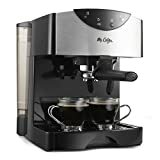 If you are looking for an cappuccino, espresso or latte coffee machine, it can be easy to become overwhelmed by all of the options that are available to you. Make sure that you consider all of the information here so when it is time to make a choice you will be satisfied with your purchase. 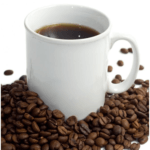 For more information on coffee brewers click here.